Nigerian billionaire Aliko Dangote’s first order of business if he succeeds in buying English Premier League soccer club Arsenal will be to fire the manager, Arsene Wenger. Dangote, Africa’s richest man with a net worth of $11.1 billion, has coveted the team since becoming a supporter in the mid-1980s, he said in an interview. He’ll consider making an offer once the construction of an $11 billion oil refinery in Nigeria’s commercial capital, Lagos, is completed toward the end of the decade. Wenger is Europe’s longest-serving manager. Since his appointment to the London-based club in 1996, he’s won three Premier League titles and seven FA Cup trophies. In May, he agreed to a new two-year deal, ending months of speculation over his future prompted by his team’s indifferent form last season. Arsenal failed to qualify for the UEFA Champions League, Europe’s premier tournament, for the first time in 20 years. Arsenal’s biggest shareholder is American billionaire Stan Kroenke, who controls almost 67 percent of the company. Earlier this year, Russian billionaire Alisher Usmanov, who already holds a 30 percent stake, sought to buy out Kroenke in an offer that valued Arsenal at as much as 2 billion pounds ($2.6 billion). 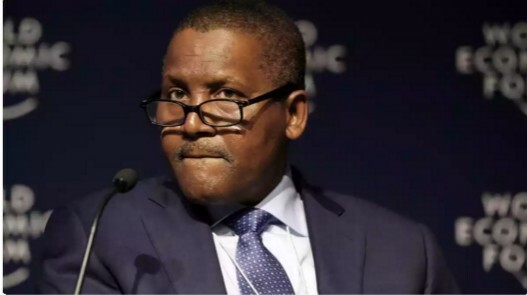 Dangote, 60, doubts he’d have trouble persuading Kroenke and Usmanov to sell.